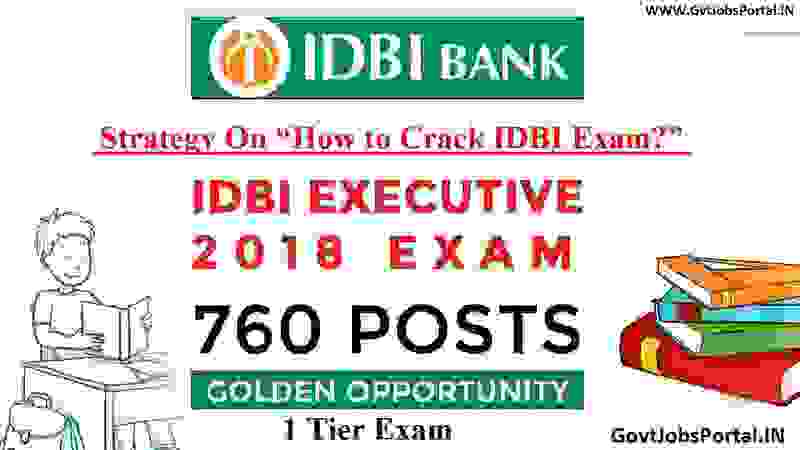 We advise all the applicable candidates not to miss this golden opportunity as this IDBI Executive exam has only one phase so it may be the keyhole to crack IDBI exam so get to the work and concentrate to your study as you have left with few days. The Online Examination will be of 90 Minutes in this time interval you have to cover all these three section, each section contains 50 Questions and each question will carry 1 Mark. Below in this post we are going to share some valuable strategies on each section of exam. We will let you know “How to take care of each section in the Examination”. What you should do and how to crack the IDBI Exam. We are going to start’s with First section which is English Section. It all depends on you To succeed in English language section, you must have a good vocabulary, reading ability and good grammar ability, howsoever you are strong in one section and weak in other one section, so here we are giving you some useful tips which are going to help you in clearing the English language section easily. Option1). The candidates who have strong vocab and reading English, then they should firstly attempt COMPERHENSSION topic and after that complete with the cloze test and other English Topic such as “ Para Jumbles, Error Detection, Phrase Replacement etc. Candidates who want to improve their reading skill, we advise them to read English newspaper on daily basis. It will have huge impact on your comprehension topic as well as on vocab. Option2). Candidates who are not good in reading section than they should do the comprehension topic in the last. Applicants who are good in Grammar section we advise them to perform comprehension at the last, first they complete with the cloze test. To be good in grammar you must have a strong hand in verb agreement, preposition and verbs. Try to learn these topics from the base. You should have a keen knowledge about these topics so that you can complete this section within 20 minutes. First advise to all applicant to attempt as maximum as possible question under reasoning section in minimum time interval. Many candidates try to solve Difficult PUZZLES first which is totally wrong, you should try to solve these puzzles at the end time of this section. Option1). You should start solving the easy question first which are from the following topics of reasoning: “Syllogism, Coding-Decoding, inequalities, direction and distance, alphanumeric series, and other topics of reasoning. Option2). After solving the option1 topics which we explained above after that start solving the puzzles that appear easy to be solved first. After that try to solve the moderate and difficult puzzles in the same way. This is our advice to all candidates on how you should manage to attempt this reasoning section under IDBI Exam. Do not spend more than 30 Minutes to solve Reasoning Section. This section should be attempted with maximum number of question with high accuracy rate. You should give 40 Minutes to solve this section under this IDBI Executive exam. Try to solve the questions based on the following topics first: “Simplification and approximation, Quadratic equations and then start solving Number series questions. After covering the entire given topic above start with the next topic know as DI (Data Interpretation). In Data interpretation 3-5 questions are always achievable and the rest two are a bit difficult and calculative. We personally suggest you to practice continuously at home, it will pay big time. Final Points: As we have mentioned all the strategies to attempt the IDBI Executive exam, so it all depends upon you that how you carry the things in a more successful way. Everything should be according to a plan so we have given you a plan, working upon it, is all in your hands. Work on all your strengths; try to strengthen them more and to rectify your weaknesses. Devote extra time to your weak subjects and whatever you have learnt give these topics a look time to time because repetition of the topics help you to memories them very well. Try to solve the various sample papers and evaluate yourself according to the output. Try to focus more on the topics in which you are lagging behind. Best of Luck to all the participants under this IDBI Executive exam.